HP is expected to begin a restructuring plan next Wednesday that will coincide with the company’s quarterly earnings report. Sources claiming knowledge of the subject say that CEO Meg Whitman is prepared to announce the elimination of up to 30,000 jobs as part of the company-wide reorganization. Business Insider says that HP will cut around 10 to 15 percent of their total workforce which currently sits at 320,000 employees. All Things D has it on good authority that the cuts won’t come at one fell swoop but rather could be drawn out for as long as a year. The exact number of job eliminations isn’t set in stone just yet as Bloomberg is now reporting that the company plans to axe 25,000 jobs. All Things D says their source considers it a “moving target” that could increase or decrease leading up to the announcement. 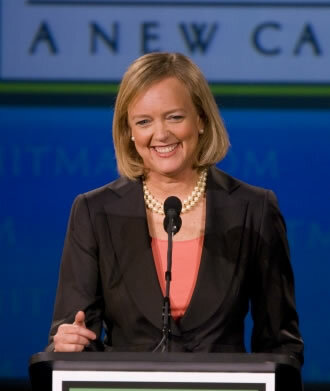 Insiders affirm that Whitman will portray the cuts as necessary to fuel other investments. She is expected to highlight that previous cuts weren’t backed by reciprocating investments. The restructuring effort is being likened to what happened at Cisco Systems and will include flat out cuts in addition to voluntary retirement packages. Of the total job cuts, around 5,000 are expected to be of the voluntary variety. It’s unclear how much the job cuts would save the company but in a note to clients earlier this month, ISI analyst Brian Marshall said he believed a reduction of 18,000 employees would save the company around $1.2 billion and increase share earnings by about $0.50.